Grease Trap Installations whether it be a replacement or a brand new installation need to comply with the regulations that are extensive. All Councils and Water Authorities are extremely concerned about grease traps being installed incorrectly. For this reason only use a plumber with proof of experience. 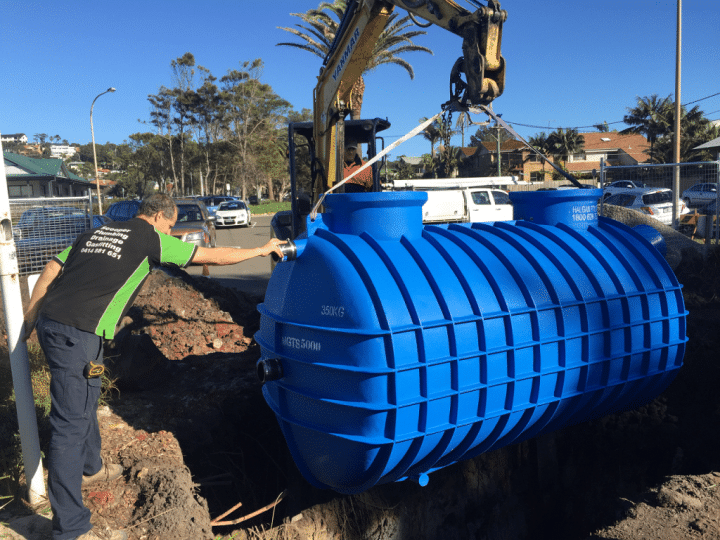 Installing the Grease Trap tank whether above or below the ground plastic, concrete or fibreglass is only about 60% of the job completed when is comes to gaining an approval from the local Water Authority and the Trade Waste Inspector. Extras in relation to gaining approval for your grease trap may seem unrelated but are 100% required. Some of these requirements are the designing of the drainage and the venting system which is always unique to any grease trap installation, Water safety or protection devices or what is called in the industry “Backflow Prevention Devices”, and certain floor drainage components such as “Basket Traps and Strainers” among others are also a requirement. Our aim is to provide you with a quotation that includes all of the requirements that will meet all of the Local Water Authorities approval needs. You may feel that our quote is higher then others that have priced your job but we can assure you that we do not hide information with the purpose of gaining variations later or misleading you. Variations that may come up are only if you change your plans or if we hit rock or obstacles like electrical pipes that prevent the work from carrying on as per plan during excavation work. These are mentioned in all of our quotations. All of our prices are open from the beginning so you are aware of the total cost to gain the appropriate approval. We look forward to hearing from you soon. Call us for advice on sizing, diagrams, cleaning, details you require for your restaurants. We are more then happy to help. Scooper Plumbing has the experience to install a wide variety of Grease Traps in an array of different property configurations. Grease Trap Systems that you may be aware of are below ground to above ground tanks. We have also installed Grease Traps on the top of a building to others that are just behind the kitchen wall. We are able to work out the diagram and communication with the local inspectors to comply with there instructions in the best possible so as to have your Grease Trap installed at your business at a fast as possible and totally to the water authorities requirements.